FARCE. A zookeeper shows some visitors a cage containing the last man on earth and teaches them an ancient form of English called “nagging” so that they can communicate with the beast. 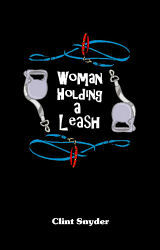 Included in the short play collection "Woman Holding a Leash."